Like the Smells of New York City or the Sound Map of Toronto. Those maps that capture experiential qualities of places. Currently, the London Museum is featuring a small exhibition of hand-drawn maps solicited from Londoners in a call on the Londonist website in February of this year. There’s a nice blog post on it here. 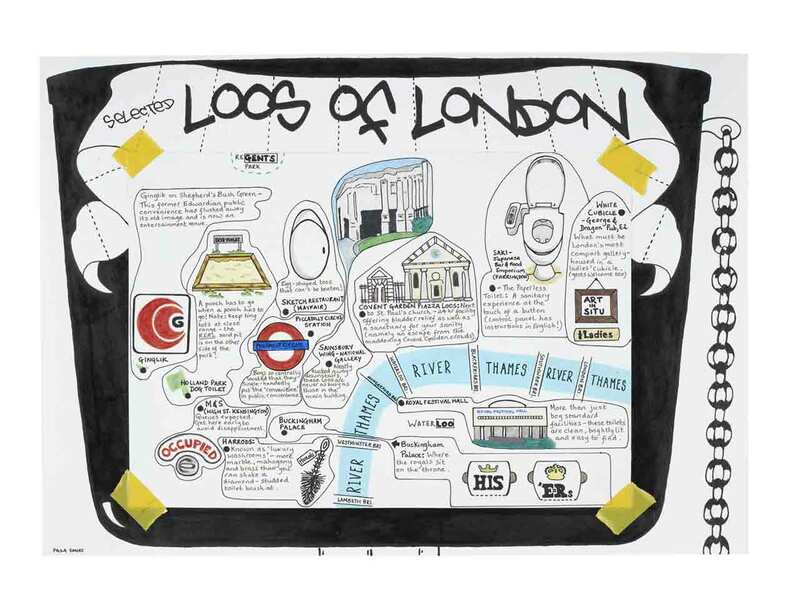 Of the 11 maps in the exhibition, “Loos of London” has captured a lot of attention. There’s an extensive post on the map and its creator, Paula Simoes, here.